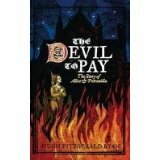 I recently read The Devil To Pay by Hugh Fitzgerald Ryan. The novel is based on the life of 13th century Kilkenny woman, Alice Kyteler who was the first person accused and condemned for witchcraft in Ireland. She owned a banking business and also ran an inn at her dwelling. Now known as Kyteler’s Inn, it still stands. I’ve visited Kilkenny several times and found it a picturesque, enchanting place. I enjoyed wandering the old town’s narrow streets as well as gazing up at the majestic castle. But I never noticed Kyteler’s Inn or learned of Alice’s story while I was there. I began reading The Devil To Pay purely as fictional entertainment. I was intrigued by the story and, as I got into the book, I also became curious about the historical events it is based on. When I finished the last page I had lots of questions about both. So I’ve asked Mr Ryan to visit Ascroft, eh? to answer some of them over the next couple days. We’ll start with the events that the book is based on. Welcome to Ascroft eh? Mr Ryan. 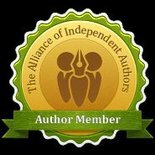 Please tell us about your novel and the historical events it is based on. HFR: In the late 13th century, Walter le Kyteler, a banker of Ypres, in Flanders, was granted safe conduct by King Edward I of England, to bring his family and wealth to the Anglo-Norman town of Kilkenny. Kilkenny was at that time a dual town, consisting of the Anglo-Norman Hightown, dominated by the castle under the sway of the seneschal and Irishtown, dominated by the cathedral and under the governance of the bishop. Walter set up his bank in Coalmarket and prospered, to the extent that his daughter, Alice, who inherited the business, became the wealthiest woman in Leinster. She married four times, each time increasing her wealth. However, she incurred the hatred of the heirs and relatives of her first three husbands, while the fourth denounced her to the bishop as a witch or sorceress, a sortilegia. He maintained that she had tried to poison him. Alice, according to tradition, was physically attracted to Petronilla and was accused of ‘unnatural carnal relations’with her. William was also attracted to her and through his mother’s deceit, fathered a daughter on Petronilla. Robin, her adopted brother, was devoted to her and tried to protect her in her time of need. Friar John loved her in a gentle way and tried to safeguard her from the inquisitors, but inadvertently made matters worse. Extracts from his annals are woven into the story and give an historical context to the events described. His sense of justice and his enquiring mind bring him into conflict with his superiors, sometimes in a comical and at other times in a tragic way. He keeps the reader in touch with the events of the first half of the century, until he himself succumbs to the Black Death in 1348. However, he left parchment prepared, in case ‘any of the race of Adam might survive after him,’ to tell the story. This I have attempted to do. Bishop Richard de Ledrede, an English Franciscan, was appointed to the diocese of Ossory and to the cathedral of Saint Canice, by the Pope then resident in Avignon. This was a great disappointment to Ledrede, an ambitious and brilliant scholar, but a difficult and uncompromising churchman. Ledrede is a figure of great contradictions. Each chapter in the manuscript is prefaced with an extract from his delicate Latin devotional poems, taken from the Red Book of Ossory. At times these serve as an ironic comment on the hideous cruelty he inflicted on those who crossed his path. In 1315 Edward Bruce, brother of Robert, King of Scotland, brought war, rapine and famine to Ireland. For almost four years he ravaged the country, dealing a lasting body-blow to what had once been a prosperous island and a thriving Anglo-Norman colony. The colony never fully recovered from Bruce’s depredations. So damaged was the ruling feudal aristocracy that they began to lapse into the customs and way of life of the native Irish, a cause of great concern to Edward III. Robin, (Artisson, FitzArt) Son of Art, links the events in Kilkenny to the death of Bruce. He was complicit in the death of the Scottish king in bizarre circumstances. Robin’s story links the colony to the native Irish, with their legends, Brehon laws and social order, so alien and detestable to the Anglo- Normans. As a pilgrim he becomes an acute observer of the conflicting religious practices of the time. He returns home to help the condemned Petronilla, but is in time only to alleviate, to some extent, her final agony. From the opening verse, a sense of foreboding pervades the novel. The bear-baiting prefigures the stake in the market place. The child, William, sings an innocent song about a miller: ton moulin, ton moulin va trop vite. He stumbles over the words in his haste. Ton Moulin becomes tomberel, the dung cart or tumbril, on which the condemned were drawn to execution. With the exception of Robin and Friar John, all those who purported to care for Petronilla, saw to it that she took the blame. She carried on her flayed and bleeding shoulders, the fears and guilt of a people who lived much of their lives in darkness. The novel evokes the claustrophobic atmosphere of a mediaeval walled town, in a colony beset by a hostile native population and subject to the constant fear of the Devil and his allies, the witches and heretics. It depicts the brutality of ‘justice’ as meted out by both the civil and the ecclesiastical powers and the casual cruelty of justice as public spectacle. It deals with the calm routine of the monks in the scriptorium, the beauty of their work, the great reach of the religious orders and the majesty of mediaeval architecture. Through the reports of the king and his warring barons and the salacious conversation of the guards on the town gates, it comments on events within the walls and on the influence of the outside world, the rise and fall of kings and great lords and Christendom gradually opening up to a wider world. Note: *Before the widespread use of surnames, people were often referred to by their place of origin. This did not necessarily connote nobility: Robert of Bristol; William Payn of Boly; Petronilla de Midia; Richard de Ledrede (Leatherhead) etc. Thanks for this introduction to The Devil to Pay and the events it depicts. For me, the book brought to life a world that fascinated and frightened me. But I couldn’t stop reading and I still want to know more. So I also have some specific questions about novel. Let’s continue with those questions tomorrow. This entry was posted in April 2011, Uncategorized and tagged Alice Kyteler, Hugh Ryan Fitzgerald, Kilkenny, The Devil to Pay, witchcraft, witchcraft in Ireland. Bookmark the permalink.